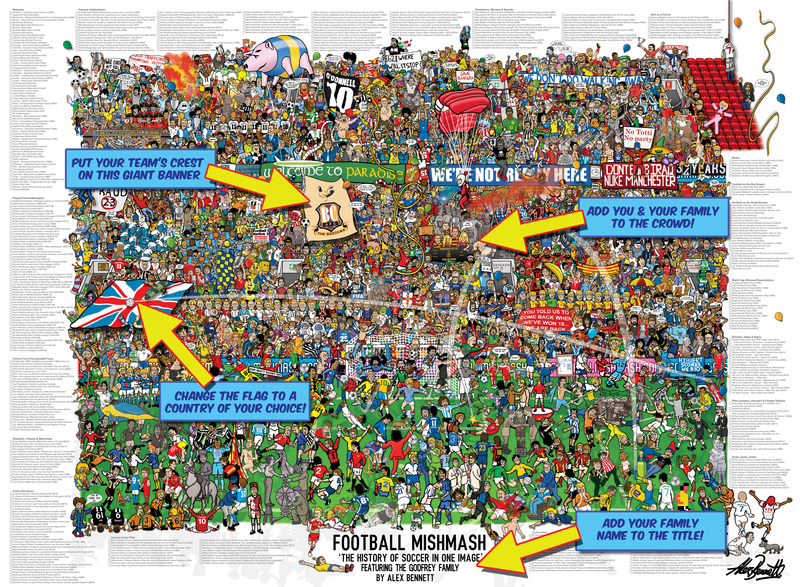 You are looking at ‘Spurs Mishmash – The History of Tottenham Hotspur Football Club in One Image’. I started this on 15/07/17 and completed it on 01/11/17. 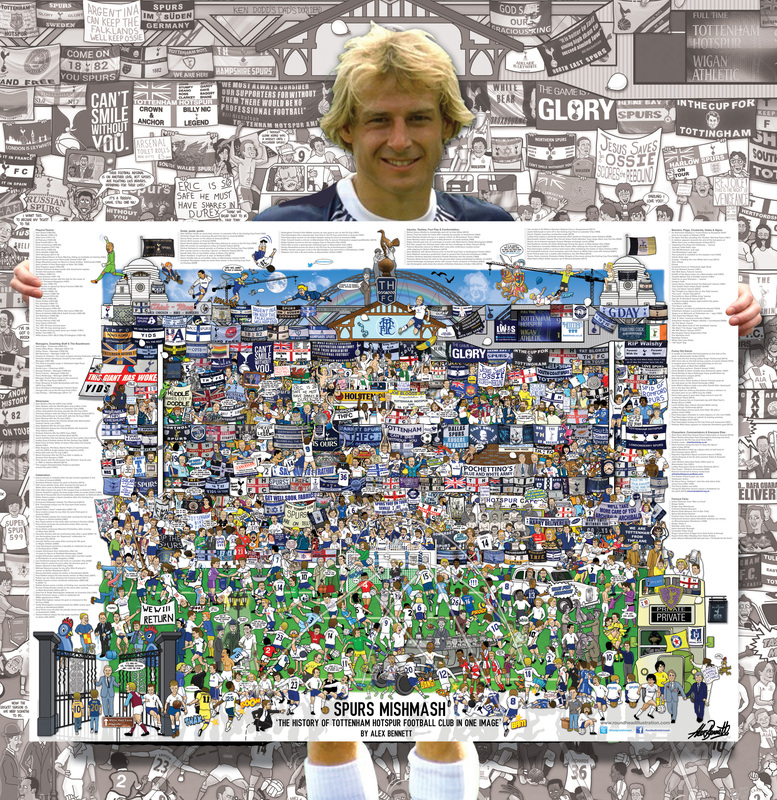 It took approximately 800 hours to complete & includes many ideas & suggestions from Spurs fans. 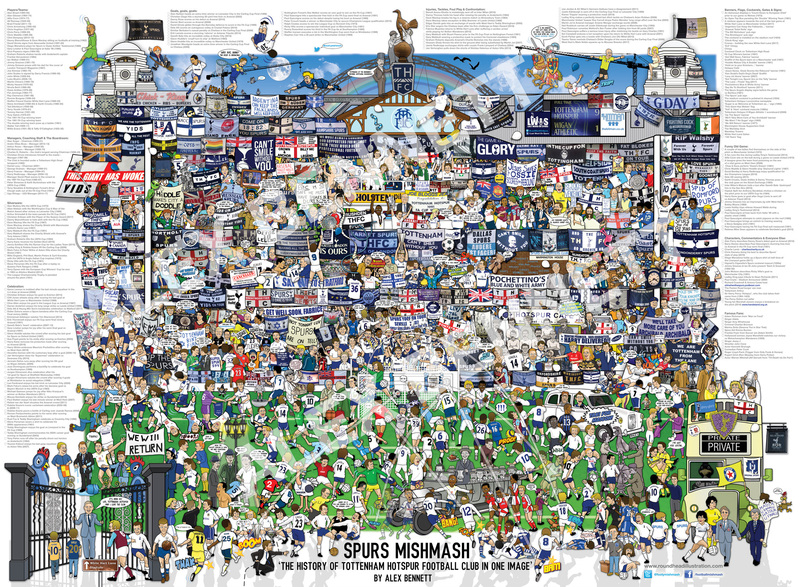 Your Spurs Mishmash poster is 69cm (height) x 94.5cm (width) and is printed on 170g high quality paper with a gloss finish. Each print will be hand signed by it’s creator Alex Bennett (me) in the bottom right hand corner. *Please note, if you are a customer from outside of the UK, please select Paypal as the payment method as bank transfers do not work on this website overseas. You do not require a Paypal account to do this. Many thanks for showing an interest in my work, I hope to speak to you soon! 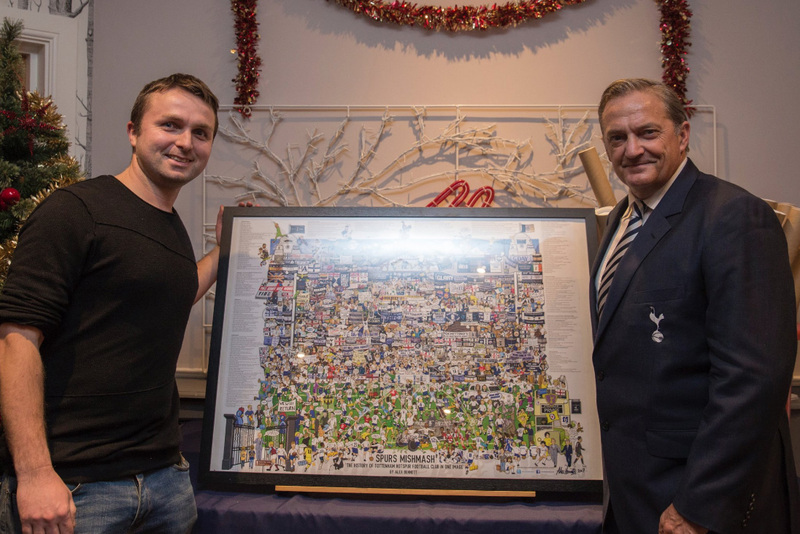 Opened this on Christmas Day, brilliant way to capture Spurs History in one image Can’t wait to get it up on the wall. COYS! 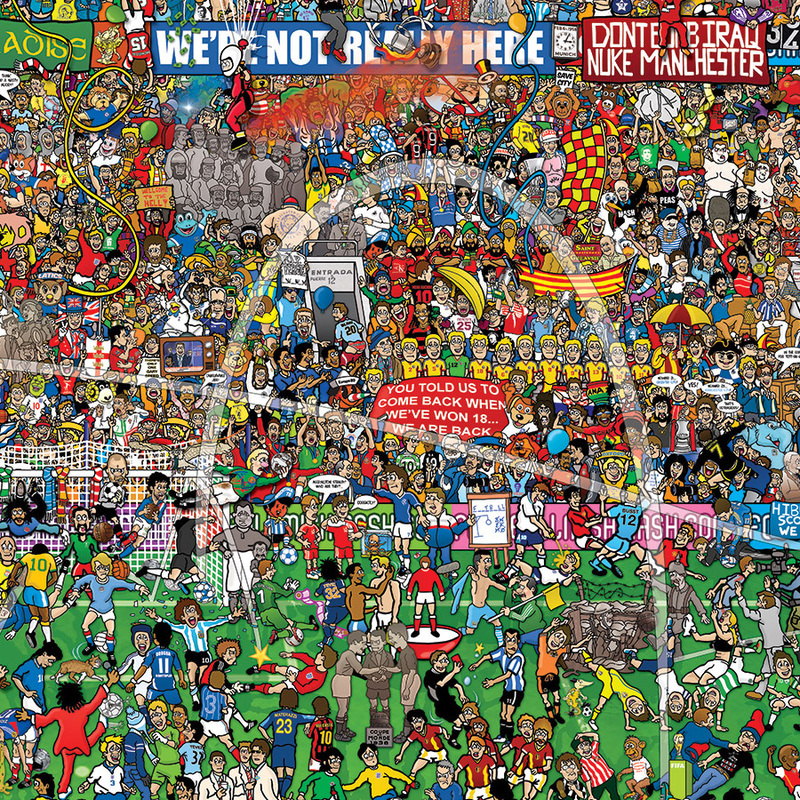 Brilliant piece of work. 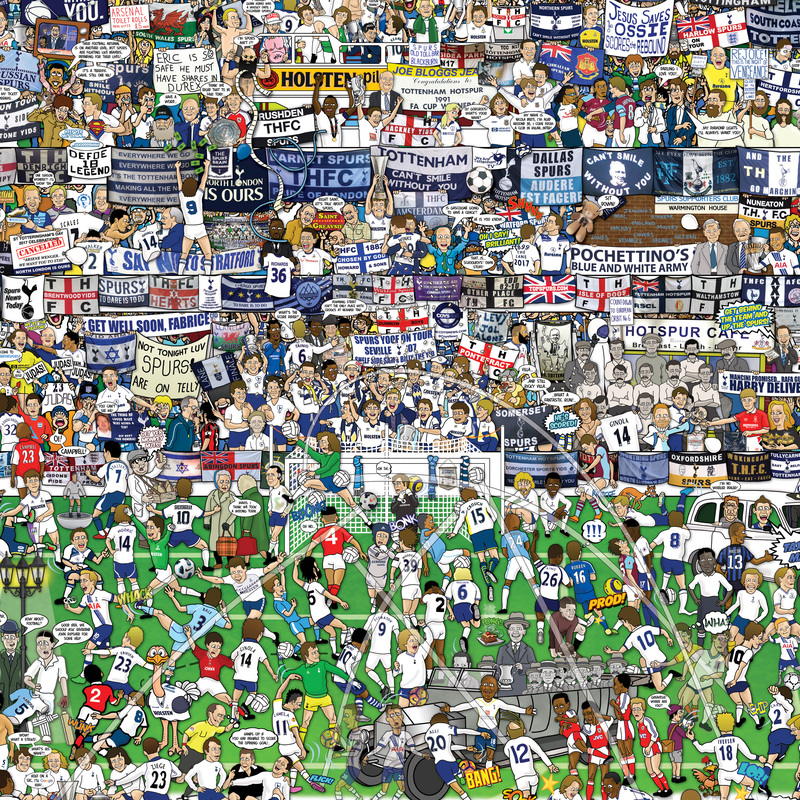 Tottenham history captured in one piece. Bought one for me and one for my Mum and Dad for Christmas. All highly delighted with it! Thanks Darren, it was a pleasure to work on! Brilliant, funny, quirky, unique. Got 2 mishmash artworks for my lads for Christmas, they absolutely love them. Spend ages looking through and finding new things to see everytime we look. Preordered one early doors, was brilliant to see it evolve over time, Also nice to see I contributed an idea that successfully made it to the final piece, mines all framed now too thanks to Alex helpfully providing a link to a sufficient frame! Fantastically detailed work. I’ve spent ages looking through and notice something new every time! A must for any spurs fan. Top class work! Fantastic present for this and any other Spurs fan. The artwork superbly encapsulates a humorous look at the history of the club through the years, and myriad poignant memories from life’s ups and downs at The Lane. The artist sought regular input from the fans, including me. Proud to be the autograph hunting little boy. Even the colour of my school uniform is spot on. Fantastic piece of work, You can literally spend ages just looking and talking about your memories of the pictured moments. I ordered one for my dad as a christmas present and once it was framed i didn’t want it to leave my house so i ordered another one for myself! 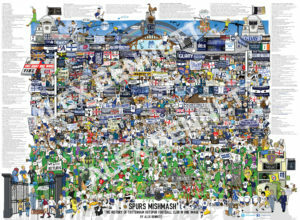 Unreal piece of art that captures many years of Tottenham history. My son and I spent hours looking at it the day it arrived. Truly awesome, can’t wait to get it framed and hung up on the wall. Even chick king made it into the mish mash 😂. I’ve already recommended it to many friends and some have also purchased!